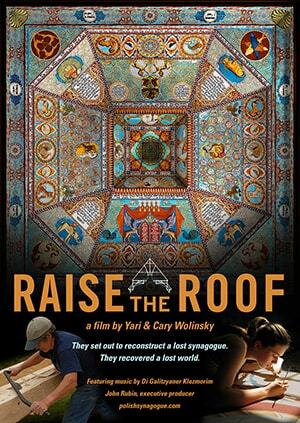 Boston artists Rick and Laura Brown of Handhouse Studio embarked on a 10-year journey to reconstruct the elaborate roof painting and ceiling of the Gwoździec synagogue. The project involved over 300 students and professionals from 16 countries. During those years according to the film’s website, the Browns, “grapple not just with the echoes of World War II when these buildings were destroyed by the Nazis, but also with warped timbers, tricky paints, and period hand tools. By the end of the project, they have done more than reconstruct a lost synagogue: they have recovered a lost world.” The unveiling of the Gwoździec roof in 2014 became the centerpiece of the POLIN Museum of the History of Polish Jews in Warsaw. The movie starts at 7 p.m. $10 general admission, $8 seniors (65+). Tickets and more info at pvjff.org. Ems College, 291 Springfield Street, Chicopee. http://www.elms.edu/event.